Today as a part of my #MCRFW Style Posts I wanted to take a look at 50s fashion, as last night I attended a Mad Men Themed Ball at the Hilton in Manchester! 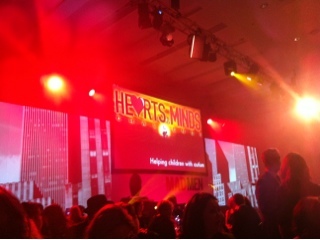 The Event was in aid of Hearts and Minds Challenge that supports Children with Autism and was a celeb studded affair as many of the cast of Coronation Street, Paul Scholes, Natasha Hamilton, Melanie Sykes and Keith Duffy showing their support. 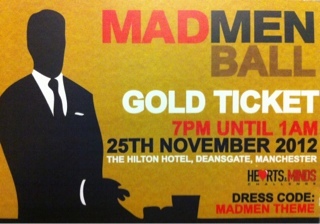 When I heard it was Mad Men themed I was really excited! The 50s, fashion wise, was very ladylike and I thought it would be a perfect opportunity to hunt out an outfit making use of the 50s shapes that are in the shops at the moment! I wore a black lace pencil skirt from Primark, paired with a lace peplum top from Dorothy Perkins, along with some lace gloves, sparkly peep toe sling back shoes and a fur trimmed shawl to keep the cold Manchester temperatures at bay! 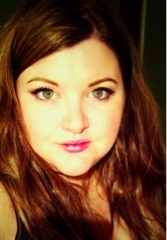 50s beauty is all about the waved hair, long lashes and red lips which is exactly what I went for! I wore a full strip of lashes which is a first for me as normally I cut them in half and wear them in the outer corners of my eyes as I think they are SO much easier to apply and irritate my eyes less! I have to say I think I will revert back to my half lashes as all night I was panicking they they were lifting which is never a good look!